Cameron Dollar had just two wining seasons during his eight years at Seattle University where he was was 107-138. 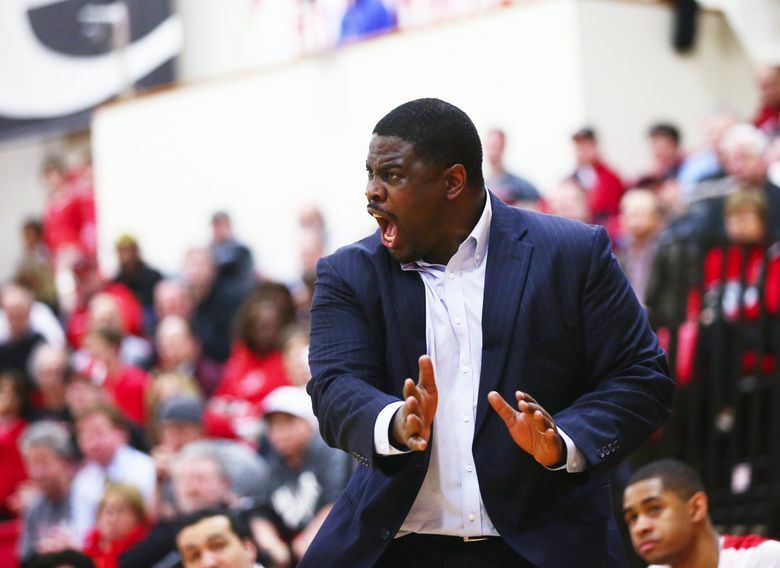 After eight seasons, Seattle University is parting ways with men’s basketball coach Cameron Dollar. The school formally announced Dollar’s dismissal Monday afternoon. Dollar had a 107-138 (.437) record with the Redhawks after taking the job in 2009. He was 17-14 in his first year and had just one more winning season, an 18-16 campaign in 2014-15. “I made promises to a lot of people that I was committed to seeing this through,” Dollar said in a Twitter post. “It’s like parents getting divorced, the players are the ones caught in the middle of an unfortunate ending. Seattle University is well within its right to end our relationship. Speculation about Dollar’s next move began to spread quickly Monday. The former UCLA guard who won a national title in 1995 rose to prominence in the coaching ranks as a Washington assistant under coach Lorenzo Romar. Dollar’s return to Montlake could potentially help Romar, whose job status is uncertain following a 9-22 record this season and a six-year NCAA tournament drought. CBS Sports first reported Dollar’s dismissal early Monday afternoon. Seattle U says it will conduct a national search for Dollar’s successor. During his first three years, Seattle U was an independent program as the team made the transition to Division I after a 29-year hiatus. The Redhawks joined the WAC in 2012 and never finished higher than fourth in the eight-team conference. They were 13-17 overall this season and sixth in the WAC at 5-9. Dollar’s tenure may best be remembered for a run to the 2015 WAC tournament title game where the Redhawks came within a game of the NCAA tournament before losing to top-seeded New Mexico State, 80-61. Seattle U played in the College Basketball Invitational and advanced to the semifinals following a victory at home over Colorado. It was SU’s first nonconference Division I postseason game since 1969. The Redhawks returned to the CBI in 2016, but lost in the first round.